Personalized digital engagements strengthen the connections between your customers and your brand, increasing their loyalty and improving your bottom line. Without an overarching, integrated digital CX strategy, brands risk becoming irrelevant, and obsolete. 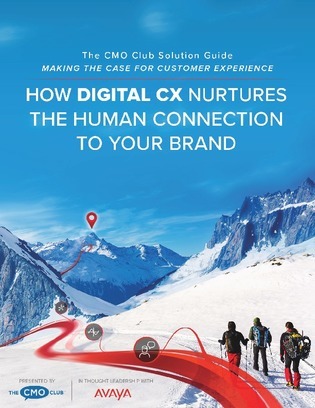 This CMO Club Solution Guide explores the opportunities and challenges CMOs encounter along a digital CX journey, and how top brands are transforming their unified, immersive digitally-driven customer experience initiatives into remarkable success stories. Read on to learn how to make the best of the digital transformation era.